Happy Halloween my friends!! Hope today hasn't been too crazy for you! Many of my students come to 3rd grade still adding on their fingers. In order to help them become fluent with their basic math facts, I give timed addition tests. 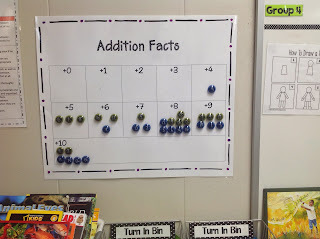 We do multiplication too, but we always start with addition. I keep all of my tests in an accordion file so I can access them quickly. I keep the file with my timer right on my whiteboard tray. Students get one minute to complete the test. Students must get all problems correct in order to move on to the next test. 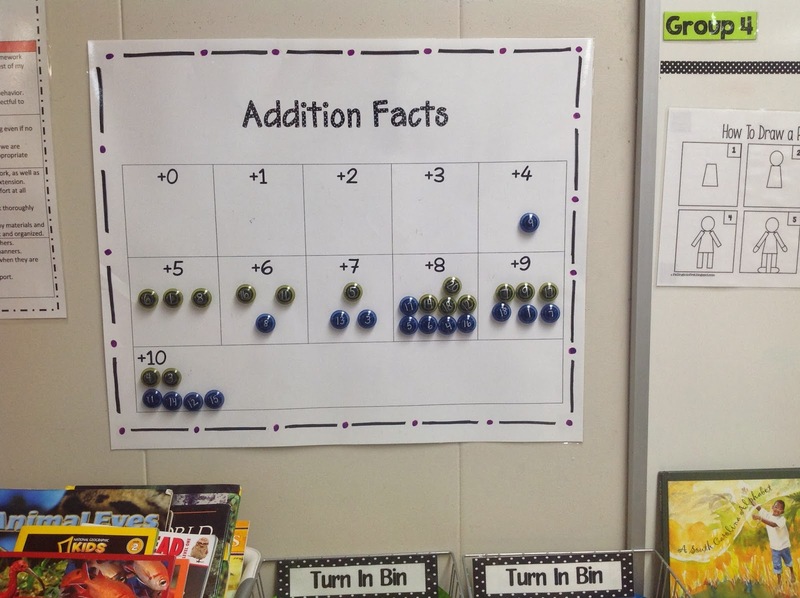 I keep track on this chart using magnets with student numbers. I have two classes this year which is why I have blue and green magnets. Students also get their own little chart to keep in their homework folders. 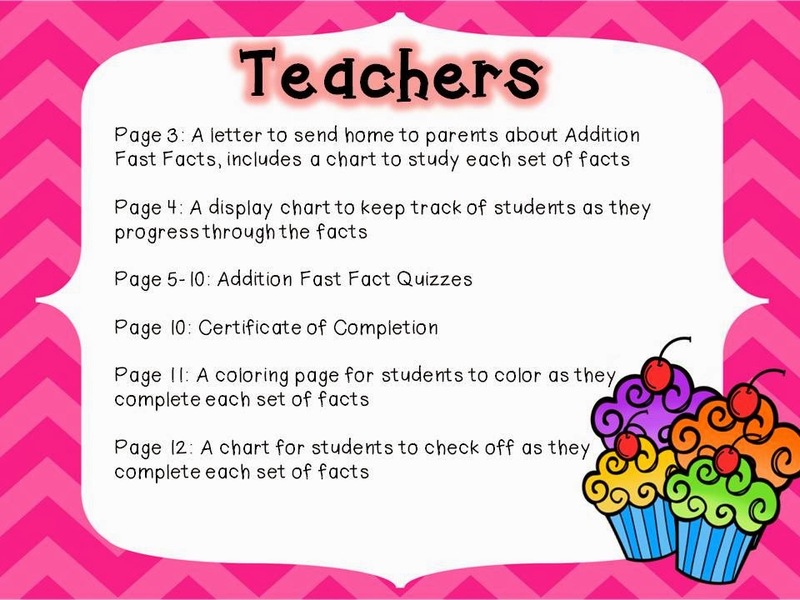 This helps parents know which facts to help them study . 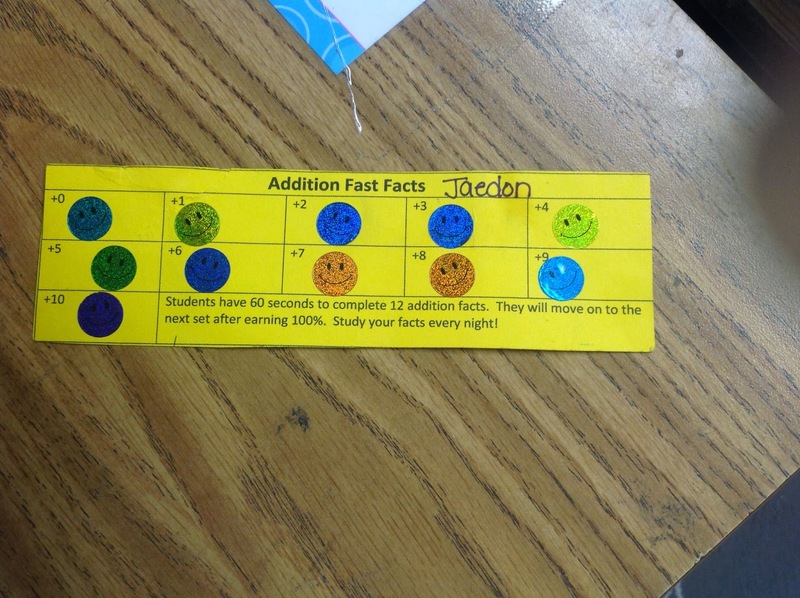 The kiddos love putting a sticker on their chart! 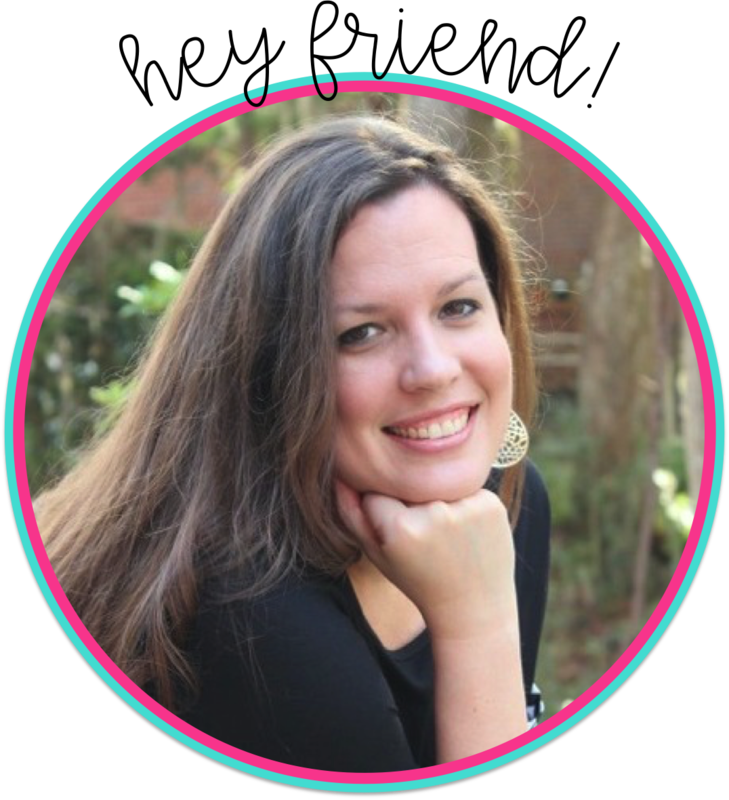 A few weeks ago, I created this packet on TpT! 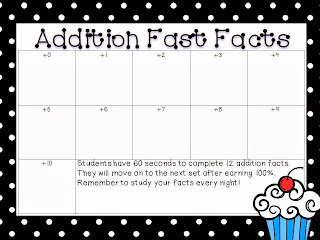 I made this after I had already started my addition fast facts...so my pictures aren't the same. :( But I will be updating it next year...gotta make it cute! 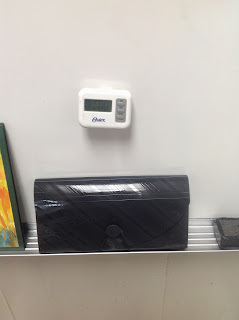 I included everything I use in my classroom! Plus a few little extras! I'm planning on making a multiplication pack very soon! 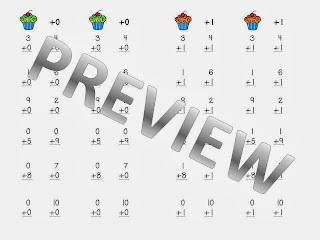 Would you be interested in subtraction or division? 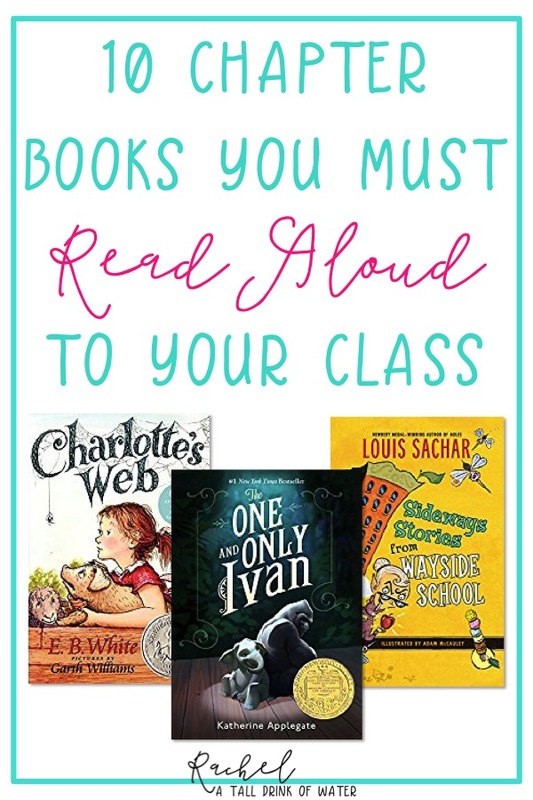 Great idea, thanks for sharing! 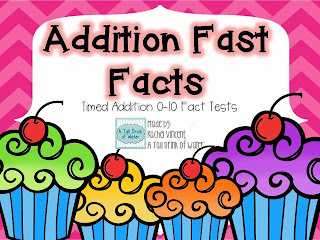 In second grade at my school we also do timed additon and subtraction test. They are trying to earn a fudge sundae. Every teacher I know is stingy with copies. 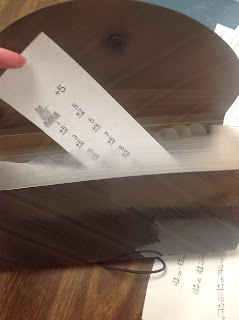 One idea I have seen is to have the kids put a paper inside a clear paper protector and use dry erase markers to write the answers. 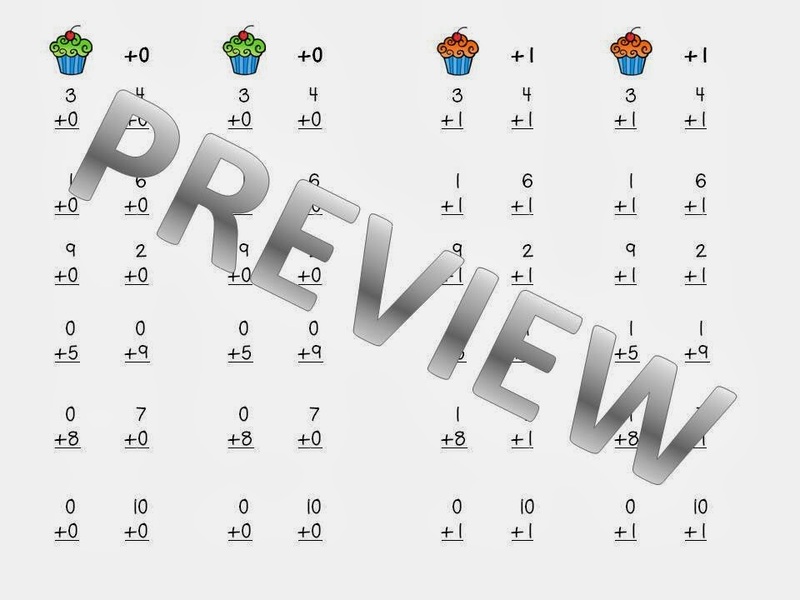 If kids are still using their fingers it may be good to have them each have a Rekenrek to visualize addition. Best of luck with everything--great pictures! May I suggest an app/website called Mathzor? No copies to make, no buzzer to set, no grading to do, no magnets to move. They gave me a 14 day trial and then my principal plans to purchase it for the entire grade level. $1 per child per year....NOT a bad price compared to other programs I have tried. Just a thought. The creator and her son are fantastic to deal with...even offered to extend my free trial will the PO get's approved.